In the backdrop of increased concerns of finding suitable alternate renewable sources of Energy, Biodiesel is emerging as the No. 1 option for countries across the globe.Besides contributing to the environment, it secures a region’s energy needs and provides the freedom to rural areas to access decentralized power. As a Green Fuel it also enables the Transport and Industrial sectors to grow on Clean Development Mechanism. Production and consumption of Biodiesel derived from oil-bearing trees improves green cover, raises the water table, prevents soil erosion, prevents Global warming and most of all is renewable and hence stands out as the most preferred alternate fuel for sustainable growth. India is a fast growing economy facing the challenge of meeting a rapidly increasing demand for energy ranks sixth in the world in terms of energy demand. Its economy is projected to grow 8-10 percent over the next two decades and there will be a substantial increase in demand for oil to manage transportation and to meet other energy needs. Major Green fuels for the transport sectors are becoming popular in many countries around the world and the fastest growing is that of Biodiesel. Biodiesel has numerous applications. Amongst many uses, it is used in industries, as an alternative Green Fuel for Petroleum based products, in generators, as heating fuel. 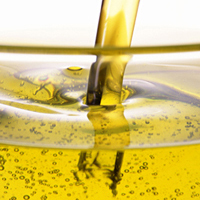 Biodiesel is a common name for Methyl Esters and TIRUPATI markets its Biodiesel under the brand name BIOWIN™.